Oscar Pistorius will be back in the glare of public scrutiny for the first time in months when he appears at a court hearing today ahead of his murder trial, the next chapter of a sensational case that transformed the double-amputee Olympian from a smiling global inspiration to a sobbing suspect facing a life sentence in prison if convicted. 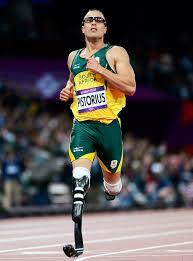 There have been just two reported sightings of Pistorius since he was granted bail on Feb. 22. Millions were stunned by the defining images of him leaving a police station on Valentine’s Day – his head hooded and bowed, hands thrust deep into his jacket pockets and guarded by officers – after he had been arrested and charged for shooting dead his girlfriend, Reeva Steenkamp. Forced out of his self-imposed isolation, Pistorius will emerge briefly for an appearance today at the same Pretoria Magistrate’s Court where he was granted bail, the first step toward the trial that will eventually decide if the 26-year-old Pistorius spends a minimum of 25 years in jail. Pistorius will defend himself against a charge of premeditated murder by arguing he believed he was acting lawfully and in self-defense when he fired four shots through a bathroom door in his home with his licensed 9mm handgun, criminal and firearm law experts say. The Olympic athlete insists that he made a deadly error when he fired into the closed toilet stall, thinking an intruder was behind the door when it was really Steenkamp. Pistorius also will be expected to explain his justification for those tragic actions in minute detail by taking the stand and testifying at his trial, which has no start date yet. A judge will pronounce him guilty or innocent. South Africa does not have trial by jury. The Olympian is claiming “putative self-defense,” lawyers who are knowledgeable about the case but are not representing Pistorius said. The lawyers, drawing from the unusually detailed affidavit Pistorius’ presented in his bail hearing, said Pistorius will maintain that in a darkened room in the pre-dawn hours of Feb. 14, and in a calculation that was gravely mistaken, he decided to fire the shots that killed the 29-year-old model and law graduate because he was certain she was an intruder and both their lives were in danger.